April Fools | ". . . let God be found true, though every man be found a liar." 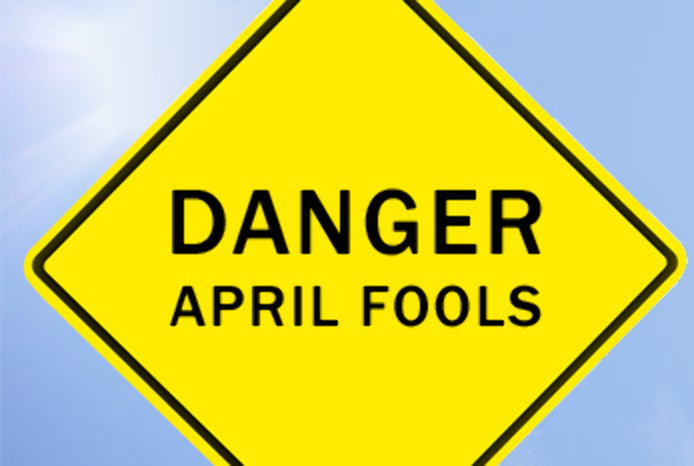 One of the more interesting holidays on the calendar is April 1st, “All Fools Day.” Most of us think of this date simply as “April Fools’ Day”. It is a day for pranks and practical jokes to be played on friends, or 0n any unsuspecting person we might be able to hoodwink in some way. One of the best April Fools’ Day jokes ever pulled was done by a disc jockey at an oldies station in Portland, OR. About midway through his morning show, and without any warning, he announced that the station was changing its format from oldies to all heavy-metal, all the time. At that point he began playing the loudest, most obnoxious heavy-metal song in the station’s library. The effect was immediate. As the heavy-metal tune droned on, the station’s phone lines lit up like a Christmas tree. Anguished listeners called in to complain, and to beg the station to return to its oldies format. After some minutes had passed the DJ came back on the air with the word, “April Fools!” He could hardly contain his laughter at having pranked the entire city of Portland, OR. In cases such as this, where innocent fun is the sole objective, most of us are willing to be “fools”. This is because there are no serious consequences to having been made a fool in such an instance. On the other hand, though, there are occasions when being a “fool” is not funny. King David of Israel spoke of one of these occasions in Psa. 14:1. He said, “The fool has said in his heart, ‘There is no God.’ They are corrupt, they have committed abominable deeds; there is no one who does good.” There is no way to mistake David’s point. Knowing God as he did, David knew that to deny God’s existence was the height of folly. Only a fool would take such a position. In other words, God left His unmistakable fingerprints all over creation so everyone on earth would know that He exists. This evidence is so complete and clear that the inspired apostle said those who refuse to believe it are without excuse. He went on in v. 22 to say of such people, “Professing themselves to be wise, they became fools.” These are the ones whose abominable deeds are described in the ensuing verses of this chapter, and for whom the wrath of God is revealed from heaven against them (Rom. 1:18). Another instance in which one may become a fool is to reject the counsel of God’s word. In Prov. 1:7 Solomon said, “The fear of the Lord is the beginning of knowledge; fools despise wisdom and instruction.” This is a powerful condemnation, especially considering the fact that Jesus said that God’s word is truth (Jn. 17:17), and that His word will judge us at the last day (Jn. 12:48). In Mt. 7:21 the Lord made His strongest statement in this regard. He said that only those who do the Father’s will are going to enter heaven. Knowing these truths, then, it is absolute folly to ignore God’s commands. Those who do so are fools in the most complete sense of this word. Therefore, we must pay heed to the words of Paul, who said, “So then do not be foolish, but understand what the will of the Lord is” (Eph. 5:17). Whatever month or day it may be, do not be a fool. Believe in God and obey His word so you will be wise. Those who do so will have a home in heaven at the end of time.